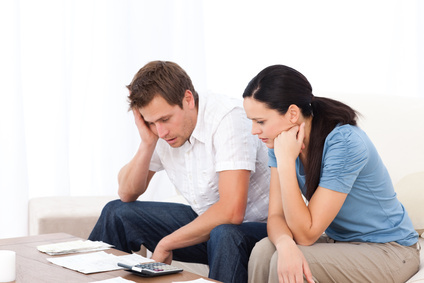 New Jersey laws related to spousal support have recently changed. In 2014, permanent alimony was replaced with open durational alimony. Permanent alimony was never supposed to be forever and the change in law helped lawmakers resolve that disputed issue. When couples face divorce and the issue of support, circumstances will dictate which type of alimony is applicable to the divorce. The 4 types of alimony include open durational, limited duration, rehabilitative, and reimbursement alimony. Open durational alimony is similar to permanent alimony. It applies to couples that have been married for over 20 years, does not have a set end date, and can be modified based on changing circumstances based on financial needs and the earning potential of both parties. It differs from permanent alimony in the sense that it is not a lifetime obligation and some factors can end the arrangement. When couples face a divorce from a short-term marriage, New Jersey courts may award a dependent party limited-durational alimony based on the duration of the marriage, the age of each spouse, and the earning potential of the couple. The purpose of this type of spousal support is to help the dependent party become financially independent for a limited period of time. Similar to a limited-durational alimony structure, rehabilitative alimony will work to help a dependent spouse become financially independent and reach full financial stability within a limited period of time. Most often, this structure of alimony will pay for additional schooling or vocational training to advance one’s earning potential. In some marriages, one of the spouses has deferred their life goals in favor of the financial success of the other and the betterment of the family. Reimbursement alimony is a structure that supports a dependent spouse while they pursue an advanced degree of vocational training that was deferred to assist the other party in their financial success. New Jersey courts always try and come to a fair and just structure for alimony. NJ judges will consider many factors when deciding on the right support structure. Once a judge decides on the matter, it becomes legally binding. In fortunate circumstances, some couples can set aside their emotions and work through mediation to come to an amicable conclusion on the matter. Under the right situation, courts will advocate for the mediation process in order to save the state and couple money. If you need quality legal advice or passionate representation related to spousal support issues, contact The Salvo Law Firm today. How is alimony determined in NJ?